This wedding venue sits cliff top above Sorrento’s Ocean Beach, just metres from the shore. Cocktail style receptions, ceremonies with uninterrupted ocean views and a modern décor make this venue hard to beat for an unforgettable beach wedding. This beautiful wedding venue is located just metres from the scenic McCrae Beach and lighthouse, perfect for a seaside ceremony. Greek cuisine, a gorgeous fresh, blue & white modern interior and a relaxed environment, all add up to make this venue perfect for your intimate beach wedding. With state of the art facilities, beachfront lawn for ceremonies and incredible views across Port Phillip Bay, this wedding venue ticks all the boxes. With the ability to host up to 180 guests on the upper deck, and serving fresh, regional produce and local wines – your day can be tailored to be as individual as you are. This gorgeous intimate wedding venue and restaurant is fresh, with a funky vibe and can host between 40-100 guests for your big day. Located in the beautiful Blairgowrie village, right opposite the foreshore and sands – the focus is on fine dining and a relaxed atmosphere. How lovely! This historic venue is situated overlooking Port Phillip Bay with the beautiful Sorrento Park on its doorstep, perfect for wedding ceremonies with style. Accommodation onsite, a dedicated function room with modern interior and just minutes from the Sorrento Township. You’ll love this dream Sorrento wedding venue. With venues across the Mornington Peninsula including the Sorrento Sailing Couta Boat Club, Point Nepean and beyond, this excellent catering company will host the perfect occasion, no matter where the location. With an emphasis on excellent food and service, your day will be catered for in every way. With views that reach across the bay to Queenscliff, the historic Portsea Hotel is located right on the shores of the famous Portsea beach. Grass lawn ceremonies and a choice of reception room, with accommodation onsite all combine to give you the perfect destination beach wedding. 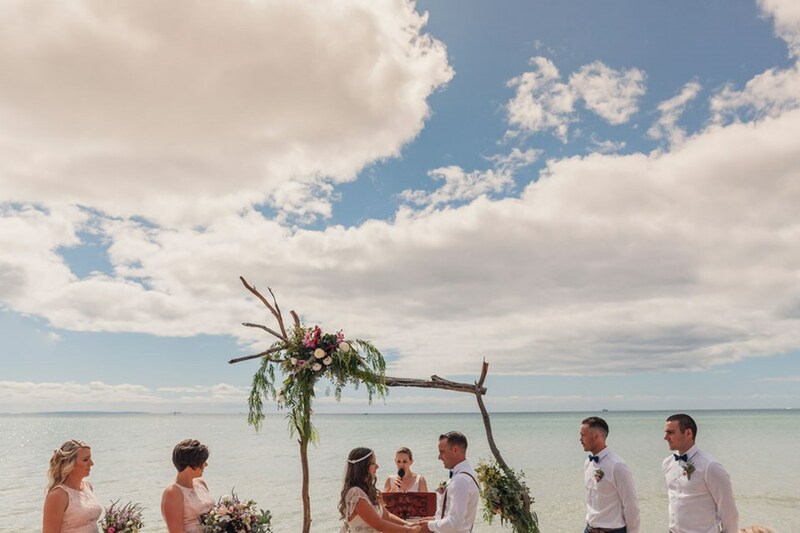 Another of the Mornington Peninsula’s beautiful historic landmarks, The Royal Hotel offers incredible food, service, and accommodation onsite and is located right alongside the sands of Mornington for excellent beachside ceremonies. The Rye Hotel creates the perfect location for your wedding reception with water views and the Rye Beach foreshore and pier for your stunning ceremony backdrop. The beautifully appointed and newly renovated Blue Water Room has the capacity for 150 cocktail style reception or 96 seated, making this venue attractive all year round. A soft ocean breeze; the warmth of the sun as you exchange vows; vistas that give your wedding photos a dreamy and ethereal quality of a day shared by the seaside, surrounded by love. 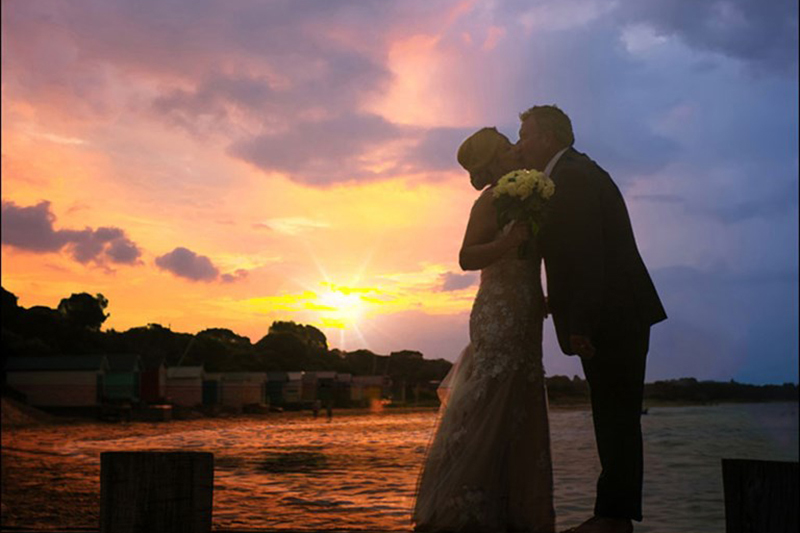 A Beach Wedding can be the most romantic day you’ll ever experience and here on the beautiful Mornington Peninsula, we have the best in seaside wedding venues to host your big day. Take a look and then take a drive to inspect and be amazed. For many couples, the most romantic place for a destination wedding would be to choose a Beach Wedding on the Mornington Peninsula. We have so many beautiful venue choices to consider ranging from modern cliff top restaurants to historic and iconic hotels. Alongside the array of stunning coastline and pristine shores to exchange vows – our region is second to none when it comes to hosting the perfect beachside wedding day. For more details on permits, local council and Parks Victoria requirements please click here. Take a look at our list, and see why our TOAST Beach Wedding Venues on the Mornington Peninsula, offers the perfect backdrop for your dream seaside destination wedding.